You might have seen this visual aid at the workshop. Often folks don’t understand why something as simple as looking at someone else may get them into trouble. 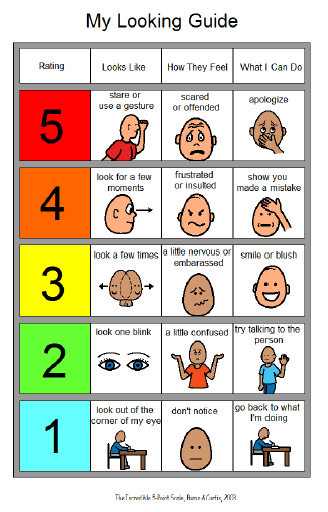 This visual support explains how the other person might feel as well as what they can do in various situations. Click on the link if you would like to view this image as a pdf (feel free to copy and use it for educational purposes).